Match ends, Walsall 1, Bury 2. Second Half ends, Walsall 1, Bury 2. Substitution, Bury. Chris Humphrey replaces Nicky Ajose. Rohan Ince (Bury) wins a free kick in the attacking half. Attempt missed. Jon Guthrie (Walsall) header from the right side of the box misses to the right following a set piece situation. Foul by Jordan Williams (Bury). Eoghan O'Connell (Bury) is shown the yellow card for a bad foul. Attempt missed. Callum Reilly (Bury) left footed shot from outside the box misses to the right. Substitution, Walsall. Daniel Agyei replaces Reece Flanagan. Corner, Walsall. Conceded by Jordan Williams. Tyler Roberts (Walsall) wins a free kick in the attacking half. Attempt saved. Michael Smith (Bury) right footed shot from the right side of the box is saved in the centre of the goal. Substitution, Walsall. Amadou Bakayoko replaces Maz Kouhyar. Attempt blocked. Tyler Roberts (Walsall) right footed shot from the right side of the box is blocked. Nicky Ajose (Bury) wins a free kick in the attacking half. Foul by Kory Roberts (Walsall). Goal! Walsall 1, Bury 2. 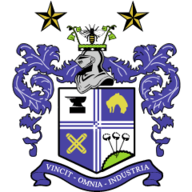 Nicky Ajose (Bury) header from the left side of the six yard box to the bottom left corner. Assisted by Andrew Tutte. Tyler Roberts (Walsall) wins a free kick on the right wing. Corner, Bury. Conceded by Kory Roberts. Attempt saved. Tyler Roberts (Walsall) right footed shot from a difficult angle and long range on the left is saved in the centre of the goal. Substitution, Bury. Jordan Williams replaces Greg Leigh. Second Half begins Walsall 1, Bury 1. First Half ends, Walsall 1, Bury 1. Goal! Walsall 1, Bury 1. Erhun Oztumer (Walsall) left footed shot from the centre of the box to the bottom left corner. Assisted by Tyler Roberts. Attempt blocked. 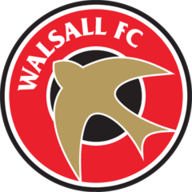 Reece Flanagan (Walsall) right footed shot from outside the box is blocked. Tyler Roberts (Walsall) wins a free kick in the defensive half. Hand ball by Reece Flanagan (Walsall). Attempt saved. Kieron Morris (Walsall) left footed shot from the left side of the box is saved in the centre of the goal. Attempt saved. Tyler Roberts (Walsall) right footed shot from the centre of the box is saved in the top centre of the goal. Attempt saved. Nicky Ajose (Bury) right footed shot from the centre of the box is saved in the centre of the goal. Attempt saved. Nathan Cameron (Bury) header from the centre of the box is saved in the centre of the goal. Attempt blocked. Michael Smith (Bury) right footed shot from the centre of the box is blocked. Attempt blocked. Callum Reilly (Bury) header from the centre of the box is blocked. Attempt missed. Adam Chambers (Walsall) right footed shot from outside the box is close, but misses to the left. Foul by Tyler Roberts (Walsall). Kory Roberts (Walsall) wins a free kick on the right wing. Attempt blocked. Maz Kouhyar (Walsall) right footed shot from the left side of the six yard box is blocked. Michael Smith (Bury) wins a free kick on the left wing. Reece Flanagan (Walsall) wins a free kick in the attacking half. Goal! Walsall 0, Bury 1. Nicky Ajose (Bury) right footed shot from outside the box to the top right corner. Assisted by Michael Smith.